excel ms access ms word power point product management retail mangement & tender pricing. To build myself with the highest professional excellence in the Marketing and Sales function in a well reputed company. Nine years of experience in IT Sales and Marketing, MNC and Distribution Company. Proficient in MS Office, Power Point and the Internet. Served in reputed organizations where I devoted my full effort and achieved the goal for the company, took the job with a great sense of responsibility. (a) Responsible for preparing product forecasts and constantly monitoring inventory levels held at central and interstate warehouses including liaison with production (local office and global office) to ensure supply timelines. (b) Assisting with the development of the annual marketing plan and for controlling advertising, promotion and sales, in accordance with the annual marketing plan. (c) Acting as point of first reference for all product related inquiries and work collaboratively with colleagues in Regulatory Affairs to address any issues that may arise. (d) Responsible for providing the sales team with the necessary technical expertise to enable them to sell the product. This involves Printed and Electronic Promotional Material, POP, Self Talkers, Product Training etc. (e) Responsible for reviewing product data to ensure that the field force is kept up to date on new developments regarding the rival companies or competitor’s products. (f) Liaison with the advertising agency regarding the product campaign including journal advertising, press releases, direct mail and conferences. (g) Identifying trendsetter ideas by researching industry and related events, publications, and announcements; tracking individual contributors and their accomplishments. (h) Locating or proposing potential business deals by contacting potential partners, discovering and exploring opportunities. (i) Screening potential business deals by analyzing market strategies, spot requirements etc. (j) Developing negotiating strategies and positions by studying integration of new venture with company strategies and operations, examining risks and potentials, estimating partners’ needs and goals. (k) Closing new business deals by coordinating requirements, developing and negotiating contracts, integrating contract requirements with business operations. (l) Protecting organization’s value by keeping information confidential. Organization: SAMSUNG INDIA ELECTRONICS Co. Ltd.
(a) Setting import targets for the national distributor for SAMSUNG Notebook. (b) Making in depth market study to understand the current market situation, market trends, prospecting on competing brands, models, market operating prices, retail prices and benchmarking the SAMSUNG Notebook with other competing brands in the Bangladesh market. (c) Monitoring monthly sales performance of the national distributor and channel partners for SAMSUNG Notebook. (d) Making various product promotional tools, various campaigns to position the SAMSUNG Notebook in Bangladesh. (f) Selecting the SKU & configurations based on the current market scenario. (g) Coordinating with Head Office, South Korea on all strategic issues, projects, tenders spot quotations, incentives, distributor’s management and channel management. (h) Reviewing channel expansion plans for all distributors. (i) Monitoring competitor activities for new product launch, market schemes, alliances, promotional plans etc. (a) Communicating with the HP Principle and fulfilling the import target set by them. (b) Responding to the queries of internal and external customers as well as for the distribution channel partners. (c) Making in depth market study to understand the current market situation, market trends, prospecting on competing brands and models. (d) Managing the distribution channels for the HP Personal System Group (Desktop and Notebook). (e) Arranging various product promotional tools to reposition the HP PSG products (Desktop and Notebook). (f) Participating in various RFQ and Government Tenders. (i) Preparing a detailed business plans to grab the distribution channel business. (a) Responding to customers queries. (b) Building rapport with potential customers and with the in-house Product Team. (c) Marketing and Selling of ICT products, such as PC, Laptop, Printer, Server, Projectors, Copier, Fax Machines, Network Cables. (d) Managing the distribution channels of the ICT products. (e) Managing and preparing the tender documents. (a) Responding to customer queries. (b) Building rapport with potential customers. (c) Cargo booking on air & sea mode. (e) Maintaining existing and building new potential clients. -Participated in the “SOUTH EAST ASIA PC BUSINESS STRATEGY MEETING” held in Delhi, India from 17 February 2013 to 19 February 2013. -Successfully completed training on “MASTERING STRATEGIC SELLING THROUGH RELATIONSHIP MANAGEMNT” organized by Prothom Alo Jobs held in Dhaka on 01 April 2011. -Successfully completed training on “EFECTIVE SELLING SKILLS” organized by DCCI Business Institute held in Dhaka from 06 March 2010 to 09 March 2010. M.B.A: Obtained M.B.A degree with Major in Marketing from North South University, in the year of 2009. CGPA overall: 3.38 in the scale of 4.0. B.B.A: Obtained B.B.A degree with Dual Majors in Marketing & International Business from North South University, in the year of 2005. CGPA overall: 3.05 in the scale of 4.0. A-Level: Completed A-Level from Quintin Kynaston School, London, UK in 1999. S.S.C Level: Completed Secondary School Certificate (S.S.C) from Monipur High School, Mirpur-2, Dhaka in 1997. Obtained First Division and secured 726 marks out of 1000. Extracurricular Activities: Participated as a Conference Aide to the Bhutanese Delegation in the 13th SAARC Summit organized by the Government of the People’s Republic of Bangladesh held in Dhaka from 19 October 2005 to 14 November 2005. Worked as a Student trainee in Santafe Institute, University College London, UK from 4 January 1998 to 4 February 1998. Computer literacy: MS Word, MS Access, Excel and Power Point. Date of Birth: 26 June 1980. Hobbies: Reading dailies, traveling, playing cricket watching science fiction movies and listening to music. Countries Visited: Belgium, France, Holland, India, Italy, Nepal and Singapore. Countries Lived in: Adelaide, South Australia & London, U.K.
1. Mr. Md. Zamshed Uddin, Manager, Dhanmondi Branch, Flora Limited, House-2, Road-5, Dhanmondi, Dhaka-1000. Tel: 02-8625755. 2. 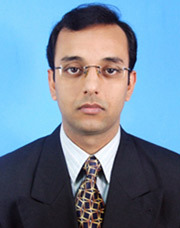 Mr. Yeah Yia Murad, C.F.O, Samsung India Electronics Co. Ltd., Bangladesh Branch Office, Nafi Tower, 12th Floor, Dhaka-1212. Tel: 02-8815733. Job Searching Just Got Easy. If you are a candidate or Business / Agency, Recruited has the best way to find your job or hire a great candidate - And yes it is FREE for all!